Declawing Your Cat - Our expert Advice - Doll Face Persian KittensPre-Loved Persian Kittens For Sale – (660) 292-2222 – (660)- 292-1126 – Shipping Available!! Scratching is a completely normal feline behavior. It isn’t done to destroy a favorite chair or rug. Cats scratch to remove the dead husks from their claws, mark territory, and stretch their muscles. Cats are usually about 6-8 weeks old when they begin scratching. This is the ideal time to train kittens to use a scratching post. You should also begin to trim your kitty’s nails if you would like to get them used to the procedure. However, nail trimming is also not a necessary procedure. Pet caregivers should not consider declawing as a routine prevention for unwanted scratching. Declawing can actually lead to an entirely different negative set of behaviors that may be worse than scratching. Far too often, pet owners believe that declawing is a simple and painless surgery done in order to prevent their feline from scratching—the equivalent of having your fingernails trimmed. Unfortunately, this is far from the truth. Unlike humans, where our nails grow from our nail beds, a cat’s nails are an extension of the bone. Declawing traditionally involves the amputation of the last bone of each toe. If performed on a human being, it would be like cutting off each finger at the last knuckle. Declawed cats can exhibit many negative behaviors as a direct result of declawing. It can even affect their health. The most common issue is the abrupt stop of normal bathroom behaviors. Even with a cat who has been well trained to use their litter pan, all of the sudden they may eliminate elsewhere, either near their litter pan or somewhere else entirely. Now that a cat is missing a portion of their paws, it is very painful for them to walk upon the litter provided for them. They are unable to dig in the litter and cover up their mess, therefore they go potty somewhere more comfortable. Cats can also experience serious medical issues as a result; arthritis, infection, tissue death, lameness, and other joint problems. While arthritis and lameness of these issues may take years to present themselves because your cat’s paws have been partially amputated they now walk differently. Some declawed cats may experience negative social behaviors as well. They are more likely to bite and be antisocial because they no longer have their claws as apart of defense. 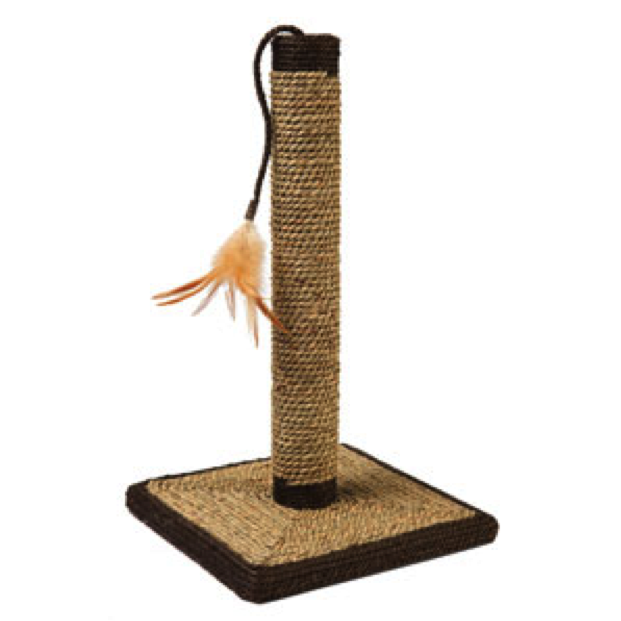 By providing a scratching post within the home, and the use of catnip or another cat attractant, your kitty is actually more likely to use the scratching post rather than your furniture to stretch and scratch. Trim your kitten’s nails with these easy to use nail clippers!